A golf community that features energy efficient homes with clean indoor air and drought-resistant landscaping, as required by the Florida Green Building Coalition, Lakewood Ranch Country Club East provides a delightful lifestyle that is consistent with the 8500-acre master-planned development’s vision of a place where residents live, work, and play. The listing for Lakewood Ranch Country Club East real estate is one of the most diverse selections, with several different price ranges, floor plans, designs, and subdivisions to choose from. A common feature for Lakewood Ranch Country Club East homes for sale is that they are all constructed according to the standards of the Florida Green Building Coalition, which aims for the building of durable structures and the creation of a healthy home environment that would reduce energy and water consumption, and help residents adopt a more sustainable lifestyle. Homeowners will not only feel secure living within the gated community, but also contribute to the greening of the environment. 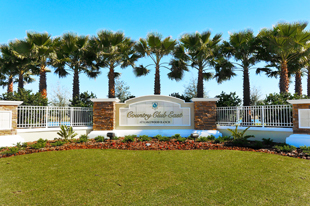 The floor plans at Lakewood Ranch Country Club East range from over 1700 to 6100 square feet. A number of layouts are available from several quality home builders. Price points vary as well, starting from the mid $300s and peaking at over $1 million. The homes are built along the fairways of an 18-hole golf course designed by golf and master planned landscape designer Rick Robbins. Wetlands and woodland preserves are scattered all over the community, providing a wildlife-inhabited natural environment to the immaculately landscaped setting. 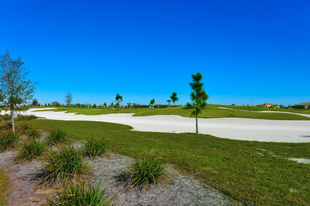 Residents may apply for membership at the Lakewood Ranch Golf and Country Club, which offers several membership options for the use of the dining, social, aquatics, fitness, and tennis facilities, as well as the three golf courses. Lakewood Country Club East will also be having its own clubhouse with banquet and conference rooms, a golf pro shop, and a fitness center with lockers, steam room, sauna, and whirlpool. Additionally, there are plans for a water park with a tower slide, a poolside bar and café, tennis courts, volleyball courts, and activity area. Lakewood Ranch’s Main Street is located at the town center, across the hospital complex. Aside from the numerous cafés, bistros, and gourmet restaurants lining its walk, the commercial hub also houses the Lakewood Ranch Cinema. The 120-bed acute care Lakewood Ranch Medical Center has a staff of over 400 medical practitioners providing integrated in-patient and out-patient services. The adjacent Medical Office building accommodates the physician’s clinics, as well as diagnostics and laboratory facilities. 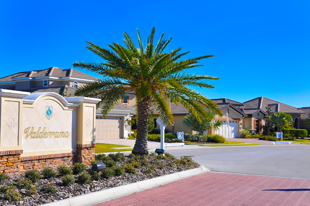 Lakewood Ranch’s strategic location provides residents with easy access to numerous top-rated schools inside the community and within the vicinity. Additionally, the Sarasota–Bradenton International Airport is a mere few minutes’ drive from the community and the Sarasota Polo Club at Lakewood Ranch is just south of University Parkway. Shopping, dining, sports, fitness, recreation, education, and green living—these are all within reach at Lakewood Ranch. With all the necessities of a small town readily at hand, living in this exceptional community is as idyllic as they come.